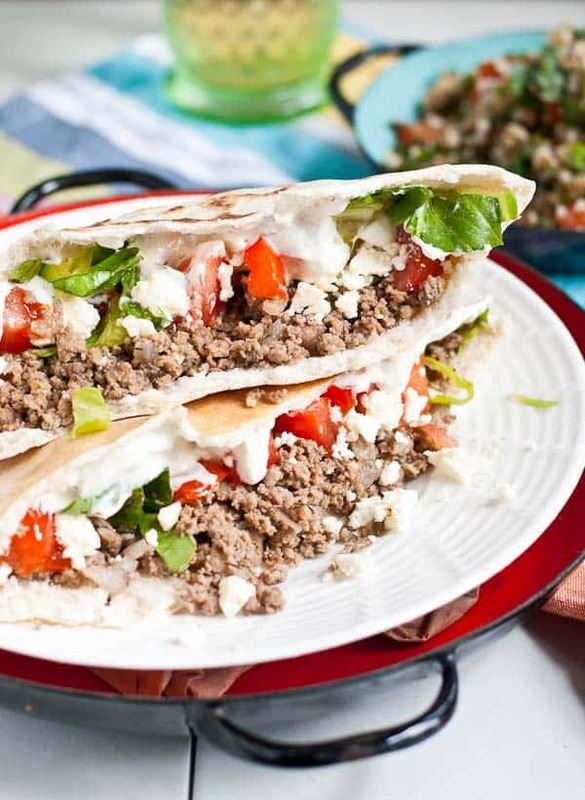 These Ground Beef Gyros were born out of several very real needs in our life. First, the need to use beef. 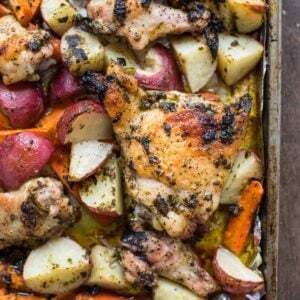 Second, the need for an easy weeknight meal. And third, the need for a quick version of gyros. Soooo, we bought a cow. Okay, not an actual cow. As awesome as that would be, I think the city probably has an ordinance about keeping 2 tons worth of livestock in your backyard. No, what I mean is we bought beef, an entire side of it to be exact. This isn’t the first time we’ve done this. In fact, I absolutely love buying beef this way. It allows us to support local farmers, gives us confidence in the way our beef is raised, and enables us to stock our freezer with high quality, grass fed beef for a really affordable price. That said, buying meat in such a large quantity does present it’s challenges. We usually split a side of beef with friends or my parents simply because our freezer isn’t big enough to hold it all. Even with only about a 1/4 side coming directly to us, we always find ourselves in a game of freezer tetris, stuffing packages in between frozen cookie dough and containers of ice cream. Then there’s the ordeal of actually getting the meat out of the freezer when you want to use it. We’ve gotten a little bit better at this each time, and now we know to keep a variety of cuts of beef on top of the deep freezer, not just pile all the ground beef at the bottom with all the steaks and roasts on top. A 6 month preggo woman does not take kindly to digging through 50 lbs. of steak for a single package of ground beef. Then, of course, there’s the issue of using it up. This is the fun part. 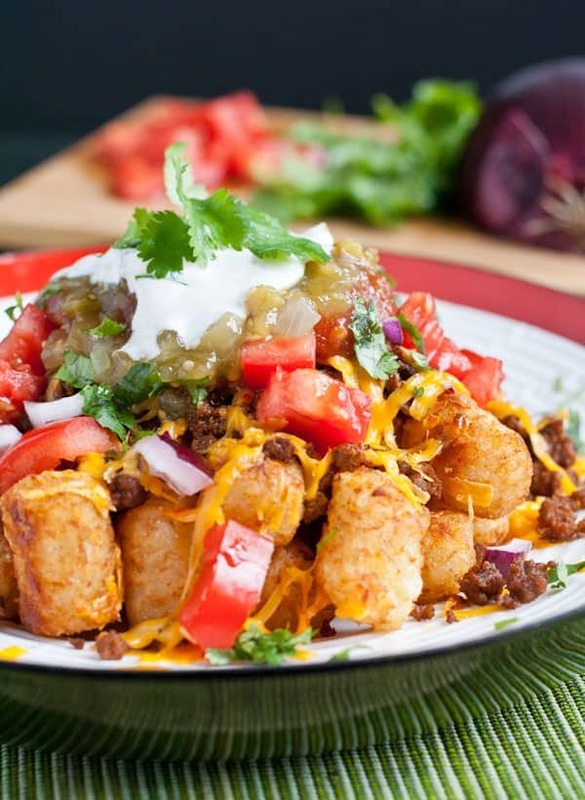 Of course, we eat are fair share of burgers, tater tot casseroles, and steak tacos. But the challenge for me is finding new ways to use up our stash and clear some valuable space in our freezer. We looooove gyros around here, but I rarely make them. It’s partially because they’re a bit of a pain to make, and partially because we can get amazing take out at King Gyros for fairly cheap. But recently I was thinking it’s a crying shame our gyro eating is limited to maybe a once a month take-out affair. Gyros are just too good not to be eaten on the regular. So I set out to create a recipe with the same flavors as our favorite gyro, but half the work. I was actually surprised just how good these Ground Beef Gyros turned out. They don’t have quite the same texture as traditional gyros, but the flavor is spot on. With just a little bit of garlic, salt, pepper, and a generous heap of oregano, you have an easy gyro filling that’s cheap and delicious. We like to top our gyros with tzatziki, feta cheese, lettuce, tomatoes, and banana peppers. I like to use this homemade version of tzatziki from A Couple Cooks, but you can also buy it from the store to save yourself more time. Either way, you’re looking at a super simple, filling, and cheap meal you can make in 30 minutes or less. Now that’s what I call a win-win-win. To make the gyro meat, heat the oil in a large skillet over medium heat. Add the onion and cook until just starting to soften, about 3 minutes. Add the ground beef and cook until no pink remains. Stir in the garlic and cook until fragrant. Season with oregano, salt, and black pepper. Drain off most of the excess fat. 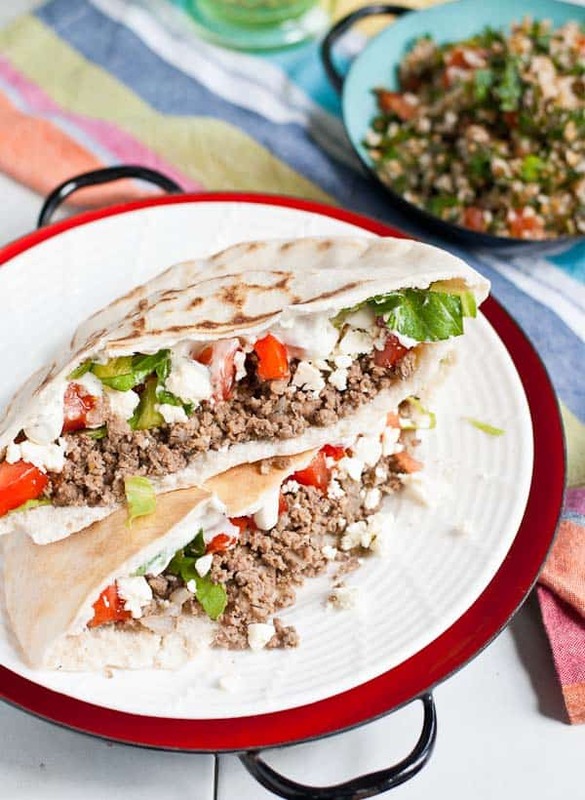 To serve, pile the meat in warmed pita bread and top with tzatziki, tomatoes, lettuce, and banana peppers if desired. 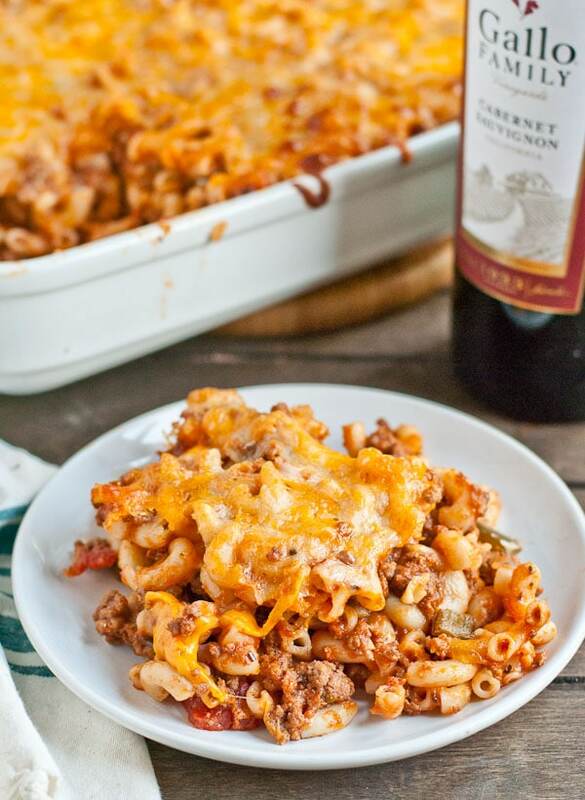 Looking for more easy ground beef recipes? Try these! Ooh yeah, we never make gyros at home either for the same reasons–but my mom is a big fan! Sooo…I guess I should be thanking you for the Mother’s Day idea 🙂 happy Thursday, Courtney!! My boyfriend keeps saying he wants to share buying a whole pig or cow with someone and I look at him like he’s crazy because first of all I am not a butcher, and second of all we have zero freezer space nor the space to buy a chest freezer. So until then I will continues buying it in pieces as needed. But I do love this recipe! I so rarely make my gyros with beef but I do love the flavor it adds over chicken. What a delicious dilemma. I understand how much you can save when buying a whole side of pig or cow, but unfortunately I’m not a butcher and I don’t know anyone who is. Until then, I’ll just have to be content with buying as needed. These gyros look delicious. We’re huge fans of gyros too. This looks ridiculously good. One of my favourite “on the run” lunches is a lamb gyro from Oompa (I think that’s what it’s called). So so good. Going to be making my own with low carb pitas! That’s awesome! I hope you enjoy this ground beef version! Um heck yes! 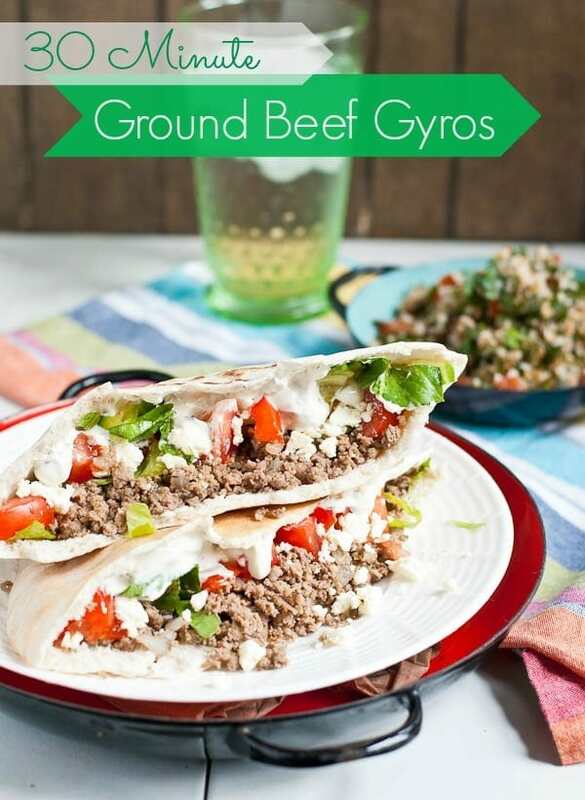 I love Gyros, but never thought of using ground beef, so I usually pick them up from a local Greek spot near home…but I so need these in my kitchen! Also, I have thought about us going in on a cow to support local, and save too! I actually hadn’t thought to use ground beef before either, until I found myself with TONS of it and needed some new uses. I was so pleased with how well it worked! I definitely recommend buying a share if you have the space. It’s so nice to have on hand and saves money in the long run too! Made these Gyros the other night. Even Mr. Picky was impressed! The meat filling is so easy to make but very flavorful. I did go to the site you recommended for the homemade Tzatziki? sauce. It was more work to do but was delicious. The sauce was made a couple of days before the Gyros and that gave it time to blend the flavors. Next time I will try to find pre-made sauce at the store though, just for the sake of comparison. 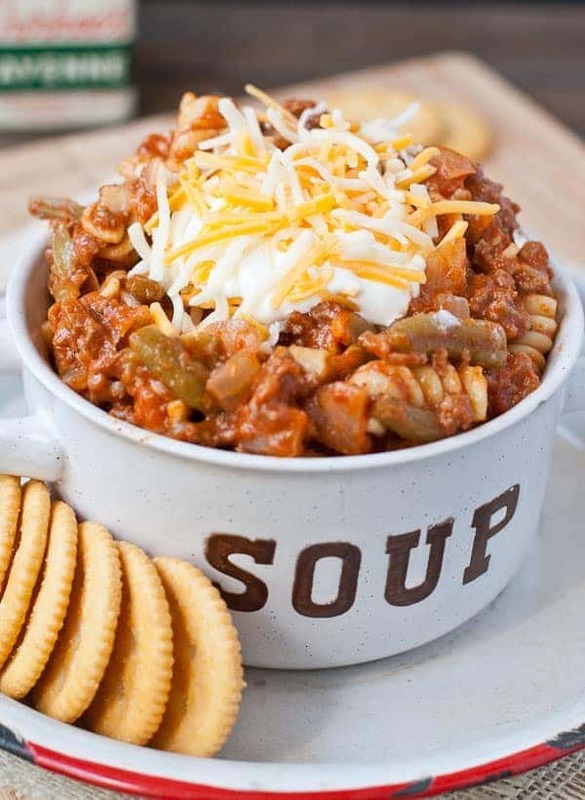 Thanks for another “keeper” recipe Courtney! Yay! I’m so glad even Mr. Picky liked it. 🙂 It definitely is more work to make the tzatziki yourself. 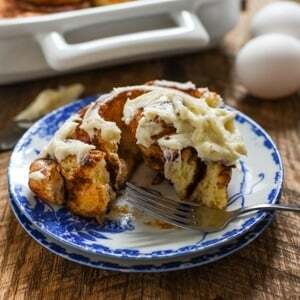 I love homemade, but I’ve used store bought before too and it’s tasty as well. I like the Sabra brand Greek yogurt tzatziki. I will definitely be trying this recipe today. I made the chicken version earlier this week and brought the sauce. In my opinion, homemade sauce taste much better. The store brought sauce had a very strong tangy taste. In all fairness, it was Tzatziki Ranch flavor. I hope you enjoyed the ground beef version! I agree homemade sauce is always the best. You can make a homemade tzatziki pretty easily with cucumbers, Greek yogurt, lemon juice, and dill!